​West Ham United goalkeeper Joe Hart has been told that he will not be part of the England squad heading to the World Cup in Russia this summer. 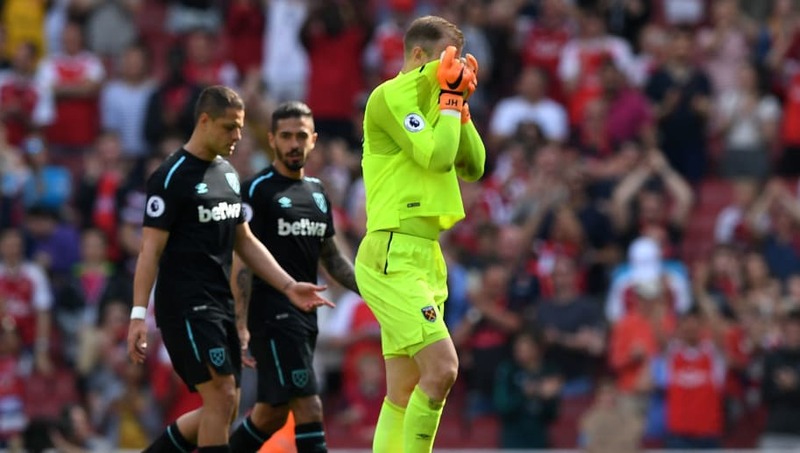 ​​The news could boost the hopes of ​Burnley goalkeeper Nick Pope, who has been on fine form this season for Sean Dyche's side. Despite his form, which has seen him claim Burnley's Player of the Year award, his place on the plane was in doubt due to Joe Hart's previous experience at major tournaments. Pope has made 114 saves and kept 11 clean sheets in the ​Premier League this season, with the former non-league goalkeeper having only earned a place in the side after Tom Heaton picked up an injury. Butland ​will be working hard to earn the number one shirt and impress at the World Cup, as he will be seeking a move following ​Stoke City's relegation, which left him in floods of tears on the pitch. If he is just as passionate about his country than he is for his club, England will have a strong character in their squad. ​West Brom goalkeeper Ben Foster has been in fine form lately and has made a late push for a place in Southgate's 23-man squad. Foster has kept clean sheets against Tottenham, ​Newcastle and ​Manchester United in recent weeks as he looks to put himself in the shop window following West Brom's relegation to the ​Championship.